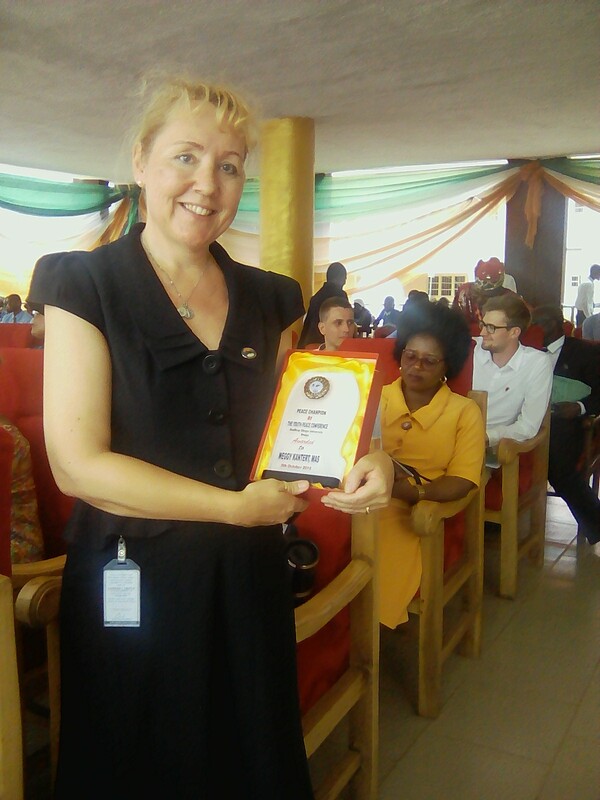 Godfrey Okoye University held another edition of the University’s Annual Peace Conference. The 8th edition of the international Peace Conference which was titled “THE BUILDING BLOCKS OF PEACE”, effectively shot at its foundational purpose of ‘breeding a new generation of Nigerians with the orientation and consciousness of developing themselves and humanity through PEACEFUL coexistence’ with one another. The Conference was held at Hon. Justice Cordelia Chukwurah Arena, Godfrey Okoye University, Enugu on 8th October 2018. The Conference as usual, was organized and successfully achieved by the GOUNI Peace Club. An ever growing club which is charged with the mandate of promoting Unity (in character, personality and knowledge) Dialogue (religious, cultural and epistemic) to the extent of promoting Love (between Human beings and God, Human beings and their neighbours, and within the Self). The GOUNI Peace Club has continually proliferated beyond the University environs to the other schools in Enugu Metropolis (for the start), especially Secondary Schools. As part of the University’s Social Development Goals (SDG) The peace Conference exemplified her usual insistence on Functional Education as being the bedrock of modern scholarship. 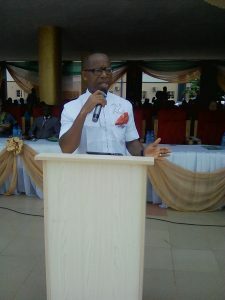 The Vice Chancellor of Godfrey Okoye University, Enugu, Very Rev. Fr. Prof. Christian Anieke who formally declared the Conference open, expressed great joy in gratitude to God for making it possible for Rev. 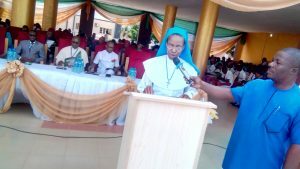 Sr. Prof. Mary Gloria C Njoku, the Coordinator of the Peace Club to rise strong from her sick bed just when she was needed to convene the Conference once again. It was miraculous he noted. Further in his remarks, the V.C noted that “Everyone loves PEACE: the RICH, the POOR, the TERRORIST, the KIDNAPPER and even the INNOCENT alike… the usual problem is that while everyone likes Peace, very many have difficulty in proffering solutions towards achieving it…” he therefore announced that the very purpose of the Conference is to engender massive grass-root reorientation and aimed at working towards a serene world devoid of chaos and violence. The Lead paper of the Conference entitled “Ofo na Ogu: the Building Block of Peace” was presented by Ken Ike Okere, Zonal Director, Federal Radio Corporation of Nigeria (FRCN) South-East Zone. By way of prescription, the admirable orator and beautiful poet suggested that Nigeria, and Africa at large, should fall back to our traditional archive for efficient solutions to Peace Building in our society… CLICK to download a full copy of the paper. First were to friends of the University from Cologne Germany, Rev. Fr. Ulrich Filler and Mrs Justina Pawelek who were crowned Peace Ambassadors of the University. Fr. 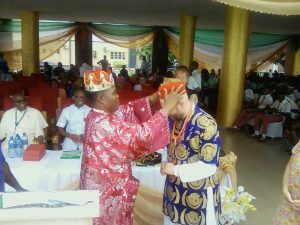 Filler on the one hand was honored with the title of “Okwukwebuike I of GOUNI; while Mrs Pawelek on the other hand, was honored with “Adadioranma” I of GOUNI.